The Master of Public Health program offers a curriculum leading to the Master of Public Health (MPH) degree on behalf of a university-wide collaboration involving the Schools of Arts and Sciences, Business (Wharton), Dental Medicine, Education, Nursing, Social Work, Veterinary Medicine, and Perelman School of Medicine. Both core and elective courses in this program are generally open to graduate students throughout the University with some exceptions. The public health course offerings are listed below. Students are advised to always check the course and room roster listings with the registrar page when planning your course selections for the most up to date information each term. PUBH 501 Introduction to Biostatistics. This course is designed to provide a broad overview of biostatistics methods as well as applications commonly used for public health research. Topics covered include measurement and categorizing variables, use and misuse of descriptive statistics, testing hypotheses, and applying commonly used statistical tests. An emphasis will be placed on the practical application of data to address public health issues, rather than theoretical and mathematical development. Students will learn how to choose and apply statistical tools to data sources, when and how statistical tools can be used to analyze data, and how to interpret others’ quantitative studies. Students will gain experience using online datasets and the STATA statistical software package. PUBH 502 Introduction to Principles and Methods of Epidemiology. Epidemiology is a combination of a subject matter science and research methodology. Introduction to Principles and Methods of Epidemiology focuses on the latter component. The course introduces the study designs applied to human populations, including randomized trials and four types of observational studies (cohort, case-control, cross-sectional, ecological). Because cause-and-effect relations are at the heart of epidemiologic research, numerous related topics are taught, including causal inference, and bias. There is a quantitative pre-test required for this course. This course is also listed as NURS 500. PUBH 503 Environmental & Occupational Health. This course will provide a broad introduction to the scientific basis of occupational and environmental health. Content will address issues in the ambient, occupational and global environments as well as the tools, concepts and methods used in environmental health. PUBH 504 Public Health Theories and Frameworks. Public health interventions and educational programs are most likely to have an impact on populations and communities when they are guided by a theory. Theories of health behavior help researchers, practitioners and participants identify targets and opportunities for change as well as methods for accomplishing change. This introductory course is intended to provide students with a solid foundation in behavioral and social science theory in the context of both, public health research and practice. The content of this course will provide exposure to a broad range of theories and frameworks commonly employed in the public health arena including issues related to the intersection of public health and human rights. These theories will be discussed using examples of their applications to numerous public health problems including, but not limited to, HIV/AIDS, violence, cancer, cardiovascular disease, obesity, diabetes, environmental hazards, and global health. PUBH 505 Public Health Administration and Policy. This course is an introduction to health policy and management. It examines both the historical and current state of health policy in America and integrates these concepts within the context of public health practice. We will examine key concepts in understanding US health care organization, financing and delivery, our current political and economic debate on health care reform, examining the role and management issues of public health departments, and case studies in public health policy and management. PUBH 506 Methods for Public Health Practice. This course provides students with a foundation in public health practice methods with a focus on program planning. The course leads the student through the key phases of program planning from the identification of the public health problem, to assessing community needs, designing an intervention and planning for implementation and evaluation. Public health practice methods employed throughout the course include: locating evidence through a variety of search mechanisms; synthesizing the literature via literature reviews; collecting and assessing community data via qualitative research methods, surveys and geo-spatial mapping; and planning and pitching intervention ideas via data briefs, logic models, project narratives, and elevator speeches. PUBH 507 Public Health Law and Ethics. Taking the right actions to protect and improve the public’s health must be done in a societal context that defines what is legal, ethical, and good policy. This course introduces key concepts of legal, ethical, and policy analysis as applied to public health activities and initiatives. It demonstrates using current examples how these factors empower, guide, and constrain public health decision-making and actions. PUBH 508 & 509 Capstone Seminar. (MPH students only) The Capstone is a culminating experience required for graduation in the Master of Public Health Program where MPH students apply their knowledge and skills to public health problems in a chosen area of interest under the guidance of a Capstone Mentor. All MPH Faculty and the majority of CPHI Fellows may be selected by an MPH student as a Capstone Mentor. Capstone Seminar instructors will assist each MPH student in the identification of an appropriate Capstone Mentor. Throughout 2 seminars, MPH students will engage their peers in scholarly discussion, drawing from relevant scientific literature and public health experience in order to begin to develop a common grounding and identity as public health professionals. 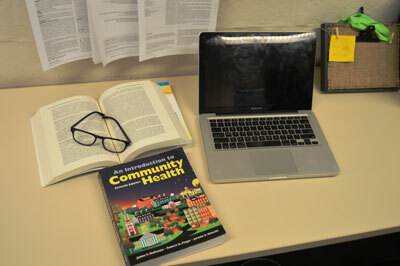 PUBH 500 Foundations of Public Health. This course will provide a topical overview of the inter-disciplinary field of public health and provides grounding in the public health paradigm. Through a series of lectures and recitation sessions, students will learn about the history of public health and the core public health sciences including behavioral and social sciences, biostatistics, epidemiology, environmental health, and policy and management. Other topics include ethics in public health, context analyses (specifically sociographic mapping and urban health), community participation in research, public health promotion, and the prevention of chronic and infectious diseases. This course is ideal for non-matriculated students who are exploring public health as a career option. PUBH 514 Experiential Learning in Environmental and Occupational Health. This course seeks to develop students’ ability to analyze and understand environmental and occupational health concepts, and identify and synthesize policy and practice solutions to the world’s most pressing environmental and occupational health issues. This course provides an introduction to environmental and occupational health concepts, with a focus on public health policy and practice at the local, state and federal levels. In-class lecture content includes tools, concepts and research methods to examine categories of environmental and occupational risks and associated health conditions, and identify and develop solutions. Out-of-class experiences (3 per student, over the course of the semester) provide the opportunity to learn directly from experts in a variety of related fields, and gain first-hand experience in environmental and occupational health practice. PUBH 517 Geography and Health. Geography and physical and social environments have profound effects on public health. Through this class, students will gain a conceptual understanding of: (1) how geography and health are related; (2) how the public health toolbox, including geographic information systems (GIS), can be used to study the places people live, work, and play and how these places either add to or detract from their health. This class will combine lectures and discussions of readings, presentations demonstrating how geographic methods can be used to address public health issues, and hands-on computer or small group activities. Students will learn based on a multidisciplinary framework that stresses the connections between various fields including public health, epidemiology, medicine, city planning, and the social sciences. PUBH 519 Foundations of Global Health. This course presents issues in global health from the viewpoint of many different disciplines, with emphasis on economically less developed countries. Subjects include: recent history of global health; demography and population projections; global water shortage; food supplies and the green revolution; environmental health; measures of disease burden; social determinants of health; literacy and health; health manpower and capacity development; ethical relativism and cultural norms; women’s rights and women’s health; setting priorities in health; primary health care systems; community health programs in low resource settings; harm reduction and behavioral modification; international organizations funding global health; selected communicable diseases; AIDS and HIV prevention; zoonotic infectious diseases and emerging infectious diseases; malaria; vaccines; selected non-communicable diseases; reproductive health; tobacco-associated disease and its control; the nutritional transition; injuries and their prevention. PUBH 521 Program Evaluation in Public Health. There are many public health programs developed to promote change. The question most funders have for public health programs is: what outcomes do you expect? This course is designed to review the principles of identifying short term, mid term and long term outcomes and methods of measurement. Students learn about the application of data collection skills to all phases of developing a public health program or service innovation, from needs assessment to analysis of findings to implementation of changes based on results. Students learn to appreciate how these skills can be used as practical tools for identifying public health problems, program development, program implementation, including taking a reflective practice approach, ensuring equity and fairness in program delivery (i.e., combating disparities), and generally promoting public health through effective and efficient programmatic efforts. PUBH523 Epidemics. This course will examine the fundamental challenges of public health, focusing on outbreaks, emergencies, and environmental threats, as well as the actions required to remedy those threats. Using a case-based framework, the class will study historical and recent epidemics, methods used to identify the sources of those epidemics, actions taken to protect the public, and the social and economic ramifications of each epidemic. The course will center on the actions and policies that are central to public health. Course readings and cases are designed to illustrate a major challenge of public health: that policy decisions often must be made in the setting of sparse or inadequate data. How do researchers, practitioners, and policymakers weigh the information available, secure necessary resources, build political will, and confront vested interests in order to protect or promote population health? To answer this central question, students will be expected to complete course readings, prepare for each session, and engage in critical thinking and dialogue in class. PUBH525 Health and Human Rights. This course will explore the interplay between health and human rights and enable students to critically apply human rights to public health practice. We will explore the development of health as a human right and how public health research and policy can affect human rights. Students will learn about core human rights principles and mechanisms and the international development agenda. The class will examine topics at the intersection of global health and human rights including health in conflict settings, HIV/AIDS, harm reduction, sexual and reproductive health, and climate change. Class material will primarily focus on public health challenges in the global south; however, we will also discuss health and human rights issues faced by vulnerable populations in the United States. PUBH 529 Public Health Perspectives on Sexual and Reproductive Health. This course will survey of a range of key current and historic topics in family planning nationally and internationally. Policy, epidemiology, clinical practice, advocacy, and service delivery topics will be covered through presentations and conversations with leaders in the field of reproductive health. The course will provide students with a broad general introduction to family planning which is appropriate for those interested in either public health or clinical aspects of the field. For students who wish to pursue a focused career in this area this course is a necessary introduction while students who will be working in related areas of public health will have a broad general understanding of family planning. Students will participate through an interactive seminar style and will prepare an oral presentation on a relevant topic of their choice. PUBH 531 Public Health Nutrition. This course is designed to introduce students to the core concepts, policies and practice of public health nutrition. The course will draw upon real world examples of local, national and global initiatives to decrease risk of chronic diseases related to the World Health Organization’s (WHO) major nutrition-related chronic diseases (i.e. Type 2 diabetes, Cardiovascular disease, Iron deficiency anemia, Osteoporosis, Dental disease and Cancer). Throughout the course, instructors will present on special topics related to public health nutrition. The course is broken into three units: Overview of Nutrition Science and Public Health Nutrition, Nutritional Data and Assessment Techniques, and Public Health Nutrition in Practice. PUBH551 Global Health Policy. This participatory, interdisciplinary seminar course examines contemporary issues in global health policy and delivery. Students will develop skills in policy analysis, development of evidence-based policy, and effective delivery of global health interventions. The class will explore the health delivery and policy process using a variety of contemporary global health case studies, which focus on content areas such as maternal health, HIV policy, global child health, family planning and medication access. PUBH 553 The Science and Politics of Food. This course provides an introduction to the many forces that shape what we eat. These include psychological, political, biological, legal, economic, and social influences. We will discuss and critically evaluate scientific research on food policies designed to improve the world’s diet. This course will have a strong focus on the communication of health information and issues of health disparities as they relate to food environments and food policies. In addition, course assignments, activities, and lectures are designed to develop skills related to critiquing research and communicating evidence-based opinions in a clear and compelling manner. PUBH565 Health Communication in the Digital Age. Health communication spans activities from in-person communication to technology based interventions and mass media campaigns. Health communication interventions are applied across a variety of health promotion and disease prevention activities. In this course, we will explore a variety of approaches to using communication strategies to improve individual and population health. The course will provide an introduction to the theory, design, and evaluation of health communication programs. We will review and critique several health communication interventions. The course will also include a special emphasis on new media and technology, as well as developing practical skills for developing health communication programs. PUBH 570 Adolescent Health. This course examines the health and well-being of young people between 10 and 26 years of age in the United States, and the influence of systems and policy on the health of this important age group. The course includes an examination of adolescent and young adult (AYA) health and well-being within a life-course framework; biological, psychological, gender and sexual development between 10 and 26 years of age including issues specific to sexual minority youth; nutritional health and health policy; and reproductive health and health policy. We will examine the influence of systems (family, school, community, health care, public health) and policy on key AYA health issues using case studies in injury prevention (violence; motor vehicle crashes), obesity prevention, HIV testing and care, and access to routine health care and reproductive health services. PUBH 575 Intimate Violence. Intimate partner violence (IPV), defined as physical, sexual or psychological harm imposed by a current or former intimate partner, is a public health problem leading to increased morbidity and mortality worldwide. The purpose of this course is to familiarize students with the definition, theories, dynamics, scope, and consequences of, and interventions to prevent and respond to, violence against intimate partners. The course will provide insight into the phenomenon of intimate violence by examining the ways in which it affects individuals, families, and communities; as well as how violence develops and is addressed within communities and societies. We will apply an ecological framework to examine the individual, relationship, community, and society factors associated with intimate violence risk and intervention and consider primary, secondary, and tertiary levels of prevention. PUBH588 Leadership Skills in Community Health. Grounded in a social justice perspective, this inter-professional course aims to provide the medical/nursing/social policy and practice/ public health student with a foundational overview of the field of community health and leadership skills in public health advocacy. Based on an assets-based approach that draws upon the strengths of communities and their leaders this course provides a foundation for community-engagement skill building. The course emphasizes the development of skills and techniques to lead effective, collaborative, health-focused interventions for underserved populations. The major goal of this course is to form inter professional, well informed groups of students to partner with community agencies to address the issues they identify through a collaborative, ongoing process. At the completion of the semester, students and community partners will come together, present their work and plan for sustainability of projects. PUBH 589 Public Health Challenges of Alzheimer's Disease and Cognitive Aging. This course is an opportunity to understand two relatively new public health problems -- Alzheimer’s disease and cognitive aging – and to use this knowledge to identify and address the broad set of challenges created by cognitive impairment in industrialized nations, challenges at the intersections of medicine, ethics, public policy, culture and health care. Students will learn about the history of Alzheimer’s disease and cognitive aging and their current definitions, the concepts of cognition and function and how they are assessed, the science and practice of measuring the disease’s prevalence and mortality, autonomy and capacity, risk and preventative factors for cognitive decline, the demography and economics of caregiving, and the public health initiatives and models of care that could enhance cognition and maintain independence. They will apply biostatistical and epidemiological methods to critique papers, close textual analysis to understand concepts and their shifting meanings, and writing to clearly and succinctly frame a problem, its costs and solutions. The course will use lectures, readings from the literature, in class group discussions and exercises, interviews with guest experts, writing and examinations. Evaluation will be based on participation, presentations, written assignments, and exam results. PUBH 605 Epidemiology and Control of Infectious Diseases. This course will focus on the application of epidemiological methods to the discovery, detection, and evaluation of infectious disease threats together with an evidence based assessment of the value of public health interventions intended to reduce prevalence and severity of disease in people. Inclass assignments are intended to build skills in locating, interpreting, assessing and synthesizing evidence from the epidemiologic literature, with an emphasis on critical thinking, causal inference, and understanding bias and confounding. PUBH606 Synthesis and Translation of Epi Literature: Case Studies in the Interpretation and Misinterpretation of Epidemiology. This course is designed for students interested in further exploration of epidemiologic methods and the challenge of establishing a causal relationship between exposure and outcome using an observational science. We will utilize case studies to address the application of epidemiologic data to specific issues of relevance to public health. The nature of observational data will be explored through these case studies and specific methodological challenges will be highlighted and examined. We will look at the ways in which epidemiologic data is used in the media, how complex data can be misrepresented and become accepted as reality, and the challenges of turning such messages around, once established. Additionally, we will examine how epidemiologic data is used in public policy debates. Finally, we will see how epidemiologic data is used in the court of law and explore the intersection of observational science and the rules around establishing causality in a legal setting. Students will be expected to have a basic understanding of epidemiology as an observational science and knowledge about the concepts of study design, measures of association, statistical significance, bias and confounding. PUBH607 Advanced Local Public Health Policymaking. Building on PUBH 505 (Public Health Administration and Policy) and PUBH 507 (Public Health Law and Ethics), this advanced, experiential course is designed to simulate the local public health policymaking process. The goal of the course is to prepare students to participate meaningfully in policymaking during their careers, regardless of whether or not they plan to work directly in policy. PUBH637 Advocacy & Public Health. Achieving Evidence-Based Health Policy examines how research can influence health policy. The course teaches students practical tools for developing communications that effectively leverage policy impact. Sessions will examine: the dialectical relationship between research and policy; how selection of research methods may influence usefulness of results for the policy sphere; the implementation of research findings in real-world settings; the translation of research for a policy audience; and the role of various stakeholders (the media; foundations; local, state, and federal government; advocates) in both research and policy debates. The instructors will draw on their work in pediatric health services research. The class will feature guest research and policy experts from the public and private sectors, who will explore core course concepts using case studies from their expertise in topics like health care reform, immigrant health, mental health, and early childhood home visitation. These didactic topical presentations will be followed by student-led discussions, small group conversations examining how research findings translate (or, as the case may be, do not translate) into policy, and writing exercises aimed at honing skills for a policy audience. Prerequisites are Fundamentals of Health Policy (offeredthrough the Master’s of Science in Health Policy); PUBH 505 Public Health Administration and Policy: An Introduction; or permission of instructor.